The PT Rail Floor Mast provides an alternative mounting structure for the PT Rail (not included) when fastening to the wall isn't an option. 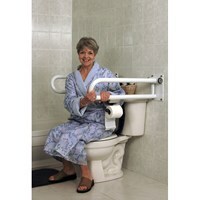 NOTE: The PT Rail is not included and is available separately. 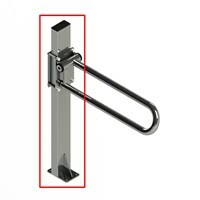 Flexible - Allows installation of a PT Rail (available separately) to this floor-mounted mast in situations where wall mounting of the rail is not possible or desirable. Secure - Strong steel construction ensures secure support. 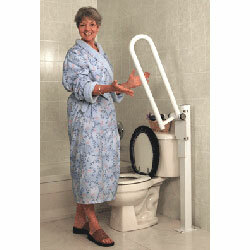 Versatile - Accepts both fixed and folding PT Rail Models (available separately). Note: The PT Mast and PT Rail (not included) should only be installed in areas where the mounting surface is structurally sound. It is recommended that you have your PT Rail installed by a qualified, professional contractor.